This Saturday at 1.00pm CET, FC Barcelona are heading into unchartered territory. This will be their first ever meeting with La Liga’s newest team, Club Deportivo Leganés. Until this season, they were only known to most Spaniards from predicting second division results on the Quiniela – the state sponsored football pools. But now Lega are mixing with the big boys, and it’s time to learn a bit more about them. The city of Leganés (population 186,000) lies on the south-western outskirts of Madrid, and to most madrileños is best known for being home to Parquesur, one of the largest shopping centres in Europe. One of its most popular attractions is a street named after heavy metal kings AC/DC. Formed in 1928, Leganés played in the lower leagues until they enjoyed an eleven-season spell in the second division from 1993 to 2004. They never came close to being promoted to the top flight and eventually dropped back down to the third tier. A decade later, in 2014, they were back – and two years later the club has reached the unprecedented heights of the Primera División. The club’s nickname is the ‘cucumber growers’ (pepineros) after the extensive production of said vegetable in the city. Moreover, they have pledged to present every visiting club this season with a basket of their famed local produce! 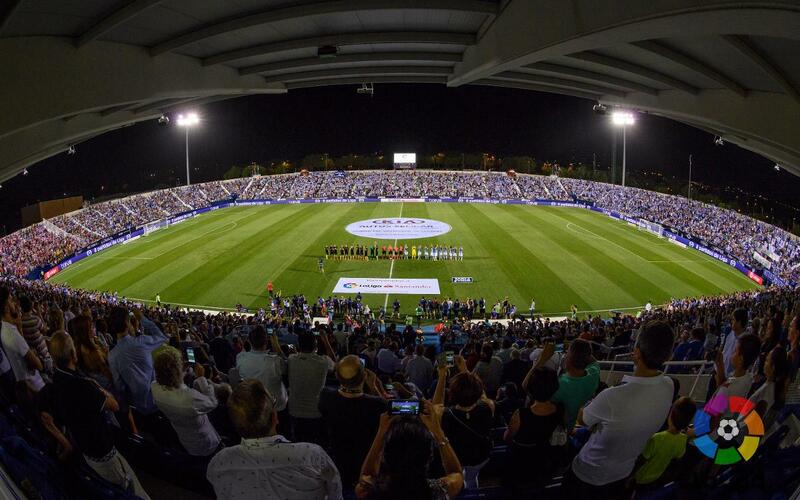 Leganés’ local rivals are Getafe, but there has been no South Madrid Derby for eleven years. The latter had bigger fish to fry in La Liga. But all that changed last season. Getafe were relegated and Leganés have taken their neighbours’ place at the top table of Spanish football! Leganés president Victoria Pavón is the second female boss in the league this season – the other being Amaia Gorostiza of Eibar.